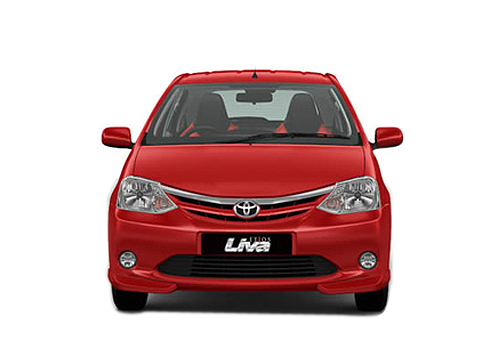 With no news launches ready in hand during this festive season to lure buyers Toyota Kirloskar Motors India Limited the Indian arm of Japanese car maker Toyota Motors today launched the upgraded version of Etios Liva hatchback in Indian car market with starting price of Rs. 5.76 lakh (ex-showroom price, New Delhi) for petrol variant and Rs. 6.79 lakh (ex-showroom price, New Delhi) for diesel variant. Under the hood it continues the same engine configurations of 1.2 litre petrol and 1.5 litre diesel engines mated with five speed manual gear transmission system. With festive season getting swing with each passing day car maker has dispatched the units immediately to its dealers for sale. Talking about the features offered in generation next Etios Liva it will be offered with dual color combination of white and red followed by glossy black colored roof. Moving ahead another features introduced in this version includes black colored front grille, roof spoiler, ORVMs and new diamond cut alloy wheels. Inside the cabin it has been offered with features like faux wood finish and dual colored upholstery. Addressing the launch of refreshed Etios Liva Mr. Akitoshi Takemura, Senior Vice-President, TKM Pvt Ltd said, “It is our endeavor to continuously upgrade our offering in line with the changing lifestyle preferences of our customers and with Etios Series being received “Most Promising Brand 2015” by Economic Times and we are confident, the New Liva will further delight our customers this auspicious season”.